Diana serves Trellis clients by partnering with the Client Service Team to coordinate and execute daily operational activities. She oversees all aspects of client account administration and care, including trading and rebalancing, opening new accounts, moving money, and generating quarterly client reports. Prior to joining Trellis, Diana served as the Senior Branch Office Administrator for Edward Jones Investments where she assisted in the management of 600+ household accounts, provided mentorship to other Branch Office Administrators in the region, organized and planned regional trainings, and coordinated regional meetings. Diana’s diverse experience also includes supporting classroom teachers as a Reading and Math Assistant, working as the Museum Director for Clymer Museum of Art, and managing her own clothing store. An outstanding and dedicated Ellensburg citizen, Diana considers it her personal mission to work alongside numerous local organizations to enrich the community. A 15-year veteran of the Rotary Club of Ellensburg, Diana currently serves as one of its Board Members. She also serves on the Board for the Spirit of the West in addition to chairing the Chamber Cowboys Committee. Diana’s 26-year history at the Chamber of Commerce includes such roles as President, Vice-President, and Committee Chair. Diana has also held leadership roles during her 18 years with the Kittitas County 4-H Club. Diana has received numerous awards and accolades for her community-based efforts, including ­­­­­­­­­­­­­­­­­­­­­­­­­­­­4-H Leader of the Year, Rotary Club’s AI Moss Integrity Award, and the Ellensburg Downtown Association’s Community Volunteer of the Year Award. 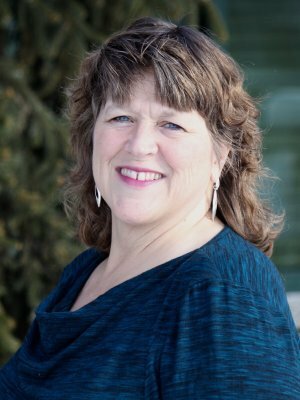 When not helping Trellis clients or enriching the Ellensburg community, Diana enjoys raising Boer goats and spending time in the outdoors with family and friends. Diana works out of our Ellensburg office.